We're opening up our data! Analytics junkies, lend us your ears! We're opening up our data to analytics experts from Segment, Looker, Chartio, Mode, and JackDB to see what insights they can uncover. 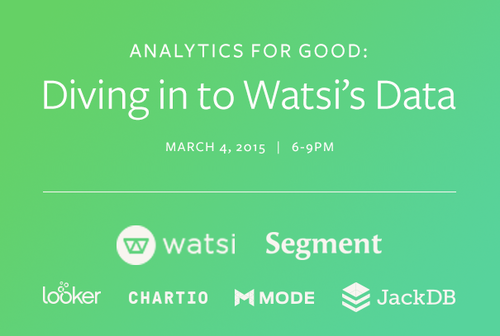 Join us for an event on March 4th to find out what they learn and hear how we can use their conclusions to fund life-changing healthcare for more people on Watsi. 100% of the proceeds from the event will directly support patients around the world.